Zachary's school recently hosted STEAM (Science, Technology, Engineering, Art, Math) night which brought out a ton of families and a lot of great projects. Minecraft was clearly a theme this year as we saw a lot of projects that leveraged it in some fashion but we also saw multiple confetti canons, a really neat volcano, a physics project with a focus on athletics, some coding projects, and even a series of experiments of the effects of different liquids on teeth. Naturally being the geeks that we are, Zachary and I went the 'Technology' route and built a website using Squarespace. Our family is a huge fan of the Timberwolves so we set off to build a Timberwolves themed website with photos, charts, historical facts, and more. It gave me the opportunity to share some web design/development concepts with Zachary while also providing him with a great opportunity to use the internet to do some research. He used a variety of sources for the historical facts, the chart/graph data, and other content. It served as a good preview of what research papers will be like in middle school next year. Zachary presenting his project to a group of students. All-in-all, the school did a great job of providing equal parts education and entertainment all while promoting the STEM/STEAM initiative. 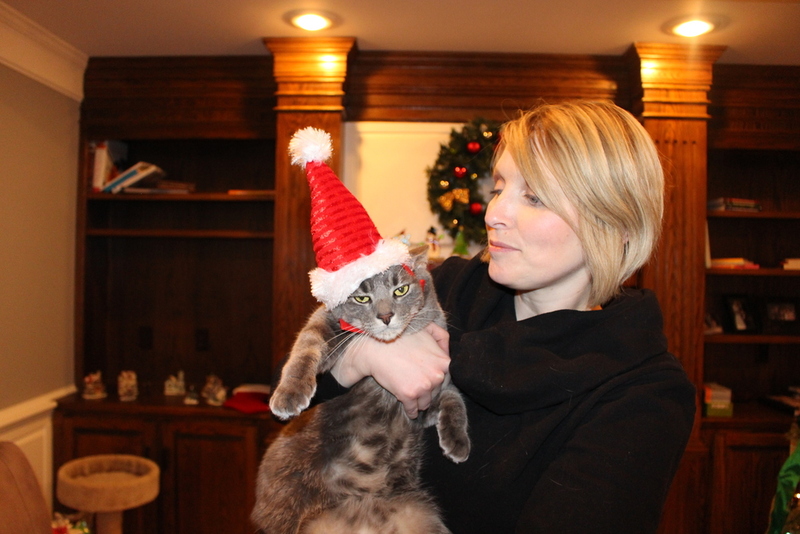 Clearly Gallifrey is "thrilled" to be wearing his little hat. Little Miss Pond may never forgive us but those antlers sure are cute! 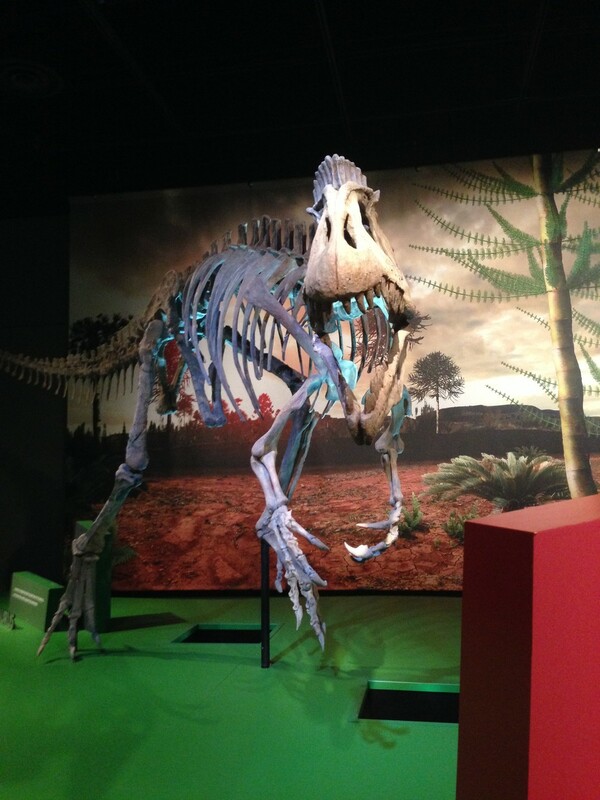 Today we visited the Science Museum of Minnesota to see the Ultimate Dinosaurs exhibit. This was our first visit to the museum and I have to say I was really impressed with the facility. Not only is it huge and filled with awesome exhibits but it was also extremely well kept and easy to navigate through. Our first order of business was to check out the Ultimate Dinosaurs exhibit before we went to the Omni Theater to see Dinosaurs Alive! on the big screen. The exhibit starts off with a little station where you can get a "Certified Junior Paleontologist" sheet which has 6 areas in which you need to get stamped. This was a great way to immediately get the kids interested and add an extra incentive to learn along the way. After we acquired the first stamp our son Zachary was hooked and wanted to complete the entire thing. We learned about the shifting of tectonic plates, the differences between herbivores and carnivores, and several facts about specific dinosaurs during our conquest to become certified junior paleontologists. We spent a little over an hour going through the exhibit and getting "certified", it was a blast and really well put together. Next we went to the Omni Theater for the 12:00 showing of Dinosaurs Alive! Just walking into the Omni Theater was an experience, it's a really neat place and the projection room outside of the theater is pretty darn neat to see. The movie (surprisingly narrated by Michael Douglas) was exactly 45-minutes long and covered a variety of topics. 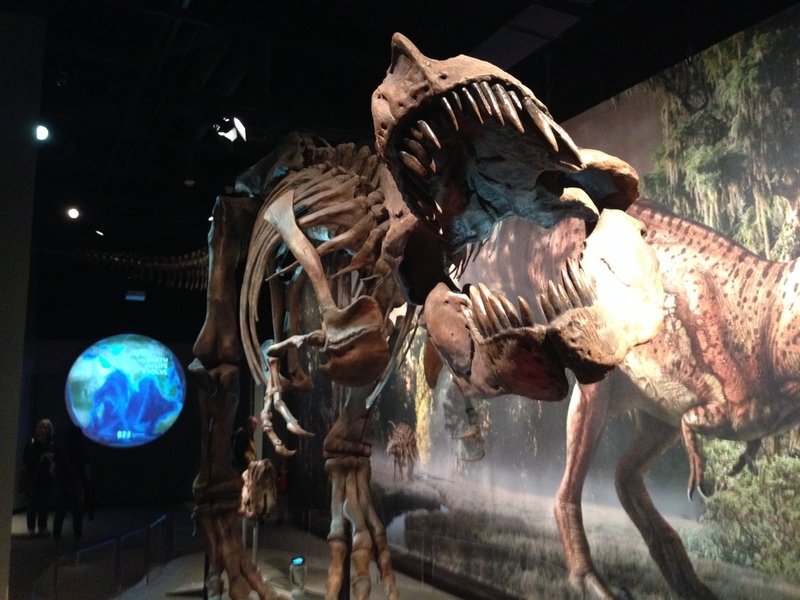 We learned quite a bit more than I was expecting about paleontology and how it has evolved over the years which ended up being very interesting. I particularly enjoyed learning about Roy Chapman Andrews who was an american explorer and paleontologist during the early 1900s. It is said that the character "Indiana Jones" is loosely based on him and I can definitely see why. He lead a team through dangerous parts of Mongolia in the 1920s during which he had to fight off Mongols, survive incredible sand storms and come up with creative ways to survive for long periods in the desert. The other parts of the film talked about specific dinosaurs and how they lived, fought, ate, bred, and ultimately died. New discoveries indicate that many non-flying dinosaurs may have had feathers which is very different than the reptilian, scaly image that most books and other media portray. After the show we ventured back into the museum to check out the general exhibits. It was time for a pitstop so we had lunch at "Chomp" which ended up being surprisingly good. We had a buffalo chicken wrap and a bowl of mac & cheese, both of which were excellent. After lunch it was time to really dig in so we headed over to the Nano Science event which was going on today. Kids could grab a little booklet that showed where all the activities were and if they completed 5 activities they got a prize. Again, hats off to the Science Museum for gamifying learning, it really works. Once again we were off to the races to complete 5 activities/experiments in order to complete the challenge. We learned about atoms, protons, neutrons, magnets, chemistry and more. It was really interesting and very hands on which is great for the younger (and who am I kidding, hands on stuff is also fun for us old folks) crowd. We completed our 5 activities and collected our prize but we weren't done yet. We checked out several more exhibits many of which provided to be quite awesome. We spent nearly 6-hours at the museum and I still feel like there was more to see. I think buying a family membership is definitely in our future because this was a perfect weekend activity for the three of us. There was fun for all ages so no matter how old/young your kids are I highly recommend spending a day at the Science Museum.